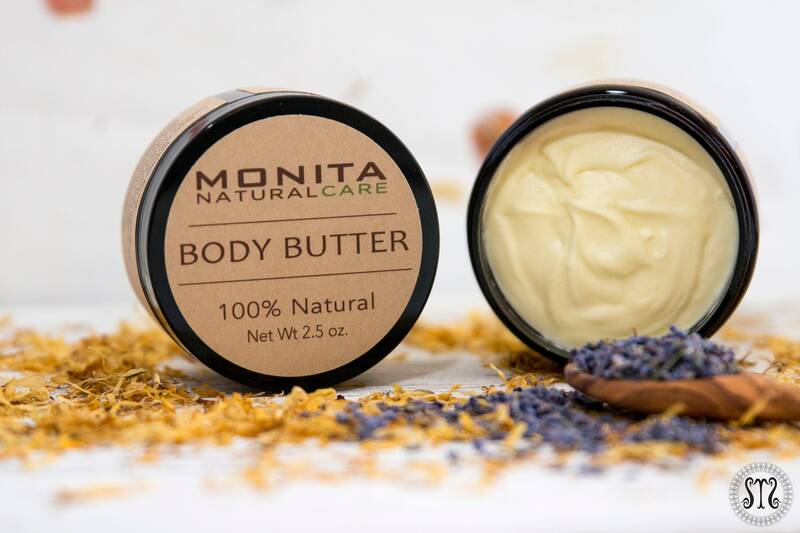 Raw Shea Butter*, Raw Coconut Oil*, Avocado Butter*, Calendula Infused Oil*, Avocado Oil* , Aloe Vera Oil*, Arrowroot Powder* Calendula Extract, Vitamin E, and Lavender Essential Oil. Apply onto body after showering, bathing or any time skin feels rough or dry. For best results, exfoliate skin before applying. Net Weight: 2.5 oz comes in a plastic jar.